Written by chris maroulakos on Wednesday, May 13th, 2015 at 9:00am. It might be strange for a group of 60-year-old men to refer to themselves as “kids,” but if those men are the comedic legends of The Kids in the Hall, they can call themselves anything they damn well please. And seeing as how those legends will be performing in San Diego on June 3, they can call themselves The Babies in the Womb for all we care. The Kids in the Hall have been a household name for decades, thanks to their self-titled sketch comedy show that aired on HBO and CBS from 1989 through 1994. Syndicated reruns on Comedy Central in the ’90s kept the troupe’s legacy alive, and their 1996 film Brain Candy — though not exactly showered with roses by critics when it was released — has developed a veritable cult following over the years. All five original cast members — Dave Foley, Bruce McCulloch, Kevin McDonald, Mark McKinney, and Scott Thompson — have reunited for this current tour of the US and their native Canada. 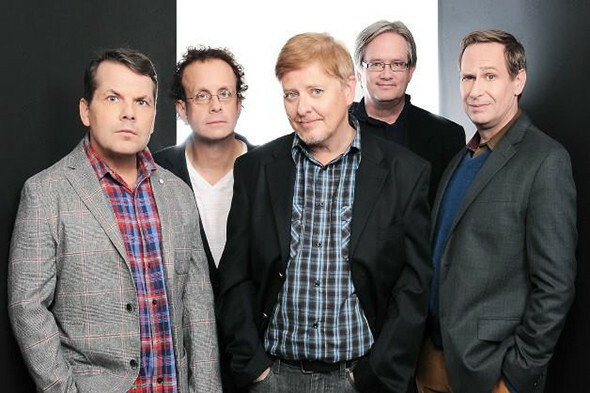 It’s The Kids in the Hall’s first tour in six years, and if you miss it you deserve to have your head crushed.